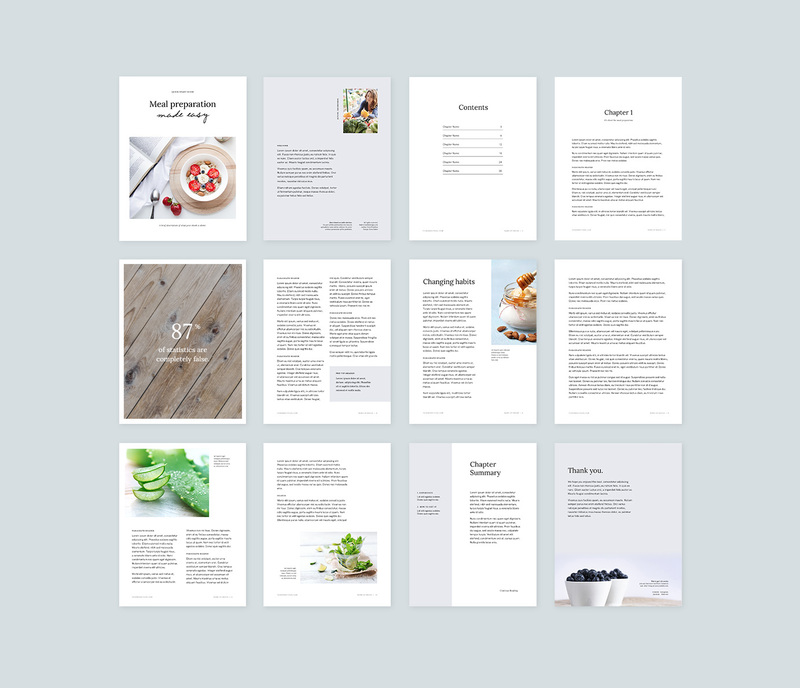 Create your own professionally designed PDF ebooks— perfect for lead magnets or paid resources. Ready to build an engaged email list? Or, thinking of creating a passive income product? Turn site visitors into raving fans or your expertise into a passive income stream with a beautiful, professionally designed ebook. 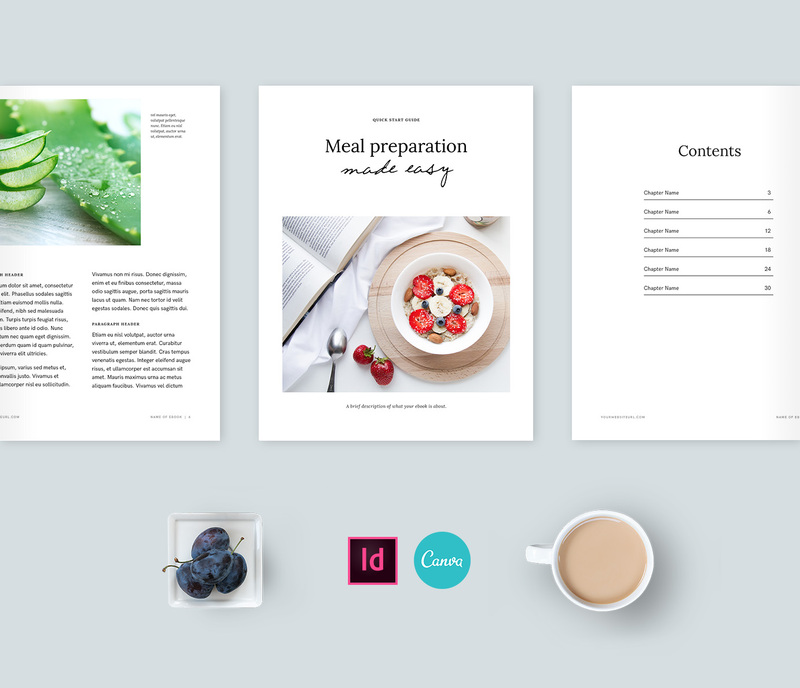 Armed with this template, you can create your own PDF resources for your customers without needing to spend thousands hiring a designer. 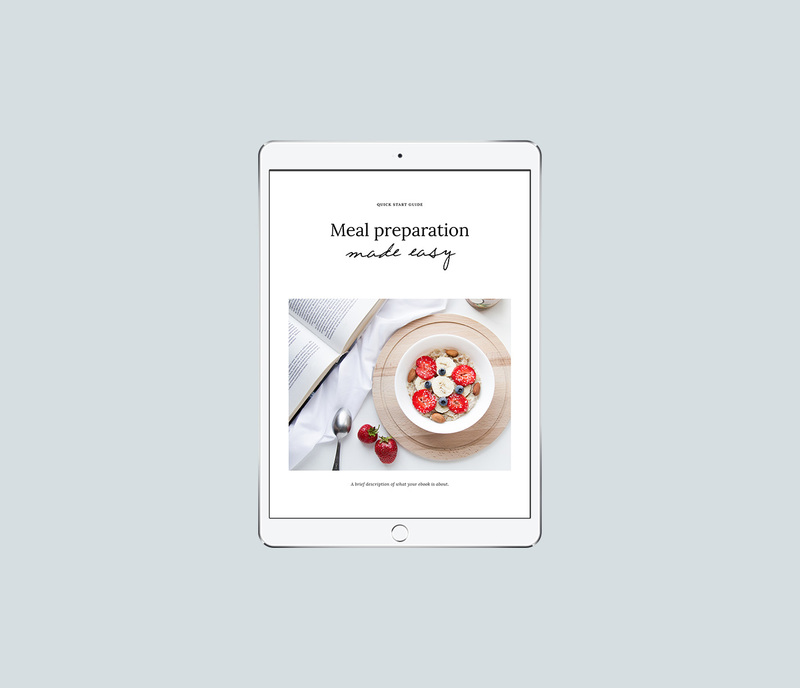 With several pre-made page templates and lots of space for images, simply customise the design to match your brand, add your ebook content and you're ready to roll!